Japan is well known for its unique traditional culture, excellent cuisine and hospitality. It is also famous for its megacities and advanced technology which you will experience first-hand with self-opening taxi doors. But beyond the bustling city life in Tokyo, you can also have an amazing diving adventure on the islands that are a few hours ride by train from Tokyo. Keep reading to discover some of the best scuba diving sites around Tokyo. Osezaki is located on Izu Peninsula, which is about three hours from Shinagawa by rail. One of the unique features of this dive site is the sheltered bay. This means you can enjoy your diving when the weather is not favourable. Also, beginners do not have to worry about underwater currents. With the opportunity provided by regulators of the diving zone for night diving, Osezaki is one of the best places to practice diving skills. You can see a variety of marine creatures including large schools of sea bass, moray eels and urchins. While you may not see large sea creatures like barracudas and sharks, Osezaki allows you to find tiny creatures like shrimps and nudibranchs. Miyake-Jima is located to the south of Kozushima. 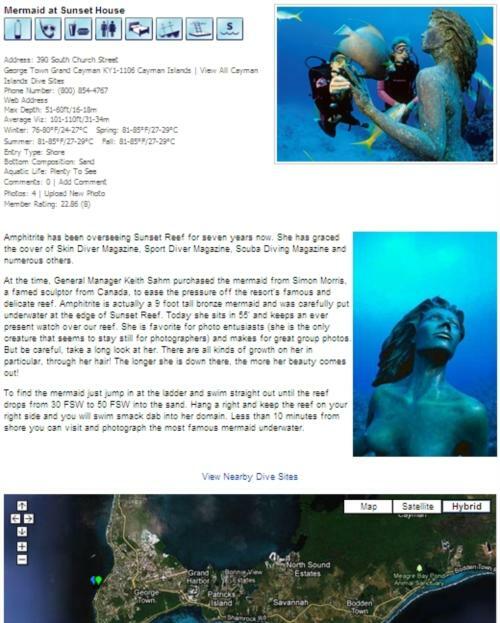 Divers love visiting this site in May. That’s when Kuroshio Current brings in spawning squid. You can descend 15 metres below the surface, use a rock to maintain stability and then have a perfect view of the squid. Each squid will produce white tubes with eggs and allow them to land on floating branches. Ishigaki Island has a great reputation for its manta ray population. This is where you will see a dive site that is popularly called Manta Scramble. Manta scramble has a depth of 10 metres and its seabed is adorned with various rocks formed by volcanic action. The large gentle manta rays, located around this rocky seabed, will entertain you by gliding around you. This dive location is also known as the Izu Ocean Park. This park is just a two-hour rail ride from any of Tokyo Hotels near JR stations. Under the water, you can see a variety of marine creatures including lionfish, angelfish and Napoleon wrasse. Other small animal species that make up the biodiversity below the water include frogfish and nudibranchs. Before you visit, you should contact the diving centre at the Izu Ocean Park for more details. Mikimoto is the best place to see a large number of hammerhead sharks in August and September. It is located down south at the seaside town of Shimoda. With the help of the Kuroshio current, the juvenile hammerhead sharks move from the Philippines to Japan and stop at Mikimoto. This dive is best suited for advanced divers because of strong currents. To ensure that you catch a glimpse of the hammerhead sharks, check up with the dive shop before taking the boat ride to the dive site. Shiretoko Peninsula is located north of Tokyo. At this place, you can have once-in-a-lifetime experience by taking an ice dive. Diving here is a truly rewarding experience and you will see a number of little marine creatures including sea urchins, shrimp, starfish. But once in a while, you may be fortunate to see a cute sea angel or sea slug with an attractive translucent body. At Tateyama, you will see a large number of hound sharks at least twice a day. This is the famous shark-feeding dive. It is about two and a half hours by rail from Tokyo. A famous resident feeds the sharks daily to lure them away from commercial fishing sites. The adult sharks, with a length of about 1.5 metres, have an unusual gentle temperament. Other sea creatures also come to the feeding site to enjoy the meal. So you can see stingrays, moray eels and the Japanese bullhead shark scrambling to get their share of the food. 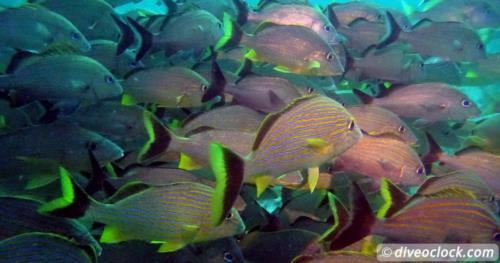 The Best Dive Sites for Experienced Divers around Isla Mujeres, Mexico! 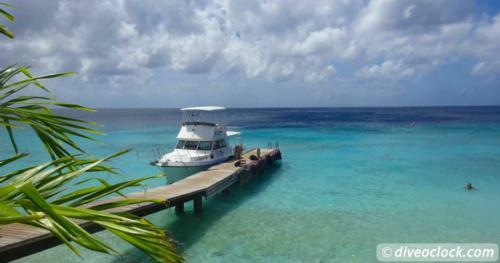 Exploring The Best Dive Sites of Curaçao, Dutch Caribbean! 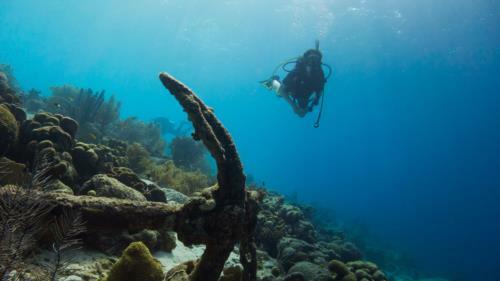 Negril Jamaica what are the best dive sites and the best dive operator’s?